Dark dark garnet color. Aromas and flavors of raspberry creme pie, cinnamon scone, marinated tomatoes and beets, and mexican chocolate with a satiny, bright, fruity medium-to-full body and a tingling, engaging, medium-length finish that presents accents of spiced cherries, orange blossom honey, and dark roasted nuts with a suggestion of oak flavor. A tasty, balanced and approachable everyday zinfandel that hits the right notes; give this time to breathe. 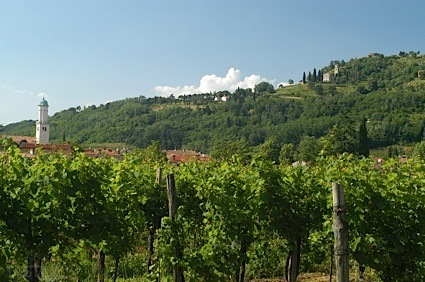 Bottom Line: A tasty, balanced and approachable everyday zinfandel that hits the right notes; give this time to breathe. 89 • LangeTwins Family Winery and Vineyards 2017 Estate Grown Prince Vineyard, Chenin Blanc, Clarksburg 12% (USA) $15.00. 90 • LangeTwins Family Winery and Vineyards 2017 Estate Grown, White Moscato, Clarksburg 12% (USA) $15.00. 92 • LangeTwins Family Winery and Vineyards 2015 Estate Grown Old Vine, Zinfandel, Lodi 14.8% (USA) $15.00. 87 • LangeTwins Family Winery and Vineyards 2017 Estate Grown, Sauvignon Blanc, Lodi 12.5% (USA) $15.00. 88 • LangeTwins Winery 2015 Estate Sangiovese Rosé, Lodi 12% (USA) $14.99. 92 • LangeTwins Winery 2015 Estate, Moscato, Clarksburg 11.9% (USA) $14.99. 88 • LangeTwins Winery 2013 Estate, Zinfandel, Lodi 15.5% (USA) $16.99. 89 • LangeTwins Winery 2012 Midnight Reserve Estate Red, Lodi 13.9% (USA) $30.00. 84 • LangeTwins Winery 2013 Estate Grown, Cabernet Sauvignon, Lodi 14.4% (USA) $16.00. 86 • LangeTwins Winery 2016 Estate Grown, Chardonnay, Clarksburg 14.5% (USA) $15.00. 86 • LangeTwins Winery 2016 Estate Grown, Moscato, Clarksburg 11% (USA) $15.00. 86 • LangeTwins Winery 2011 Centennial Lewis Vineyard, Zinfandel, Lodi 15.6% (USA) $60.00. 92 • LangeTwins Winery 2014 Old Vine , Zinfandel, Lodi 15% (USA) $15.00. 88 • LangeTwins Winery 2016 Estate Grown, Pinot Noir, Clarksburg 14.2% (USA) $18.00. 90 • LangeTwins Winery 2013 The Eighty Vineyard Single Barrel , Teroldego, Lodi 14.5% (USA) $50.00. 92 • LangeTwins Winery 2013 Miller Vineyard Single Barrel, Cabernet Franc, Clarksburg 14.5% (USA) $50.00. 85 • Sand Point 2014 Sauvignon Blanc, Lodi 13.5% (USA) $10.99. 83 • Sand Point 2013 Merlot, Clarksburg 13.9% (USA) $12.99. 85 • Sand Point 2013 Cabernet Sauvignon, Lodi 14.3% (USA) $12.00. 89 • Sand Point 2015 Pinot Noir, California 14.2% (USA) $12.00. 90 • Sand Point 2014 Cabernet Sauvignon, Lodi 13.8% (USA) $.00. 85 • Sand Point 2016 Sauvignon Blanc, Lodi 12.5% (USA) $.00. 88 • Sand Point 2015 Merlot, Clarksburg 13.9% (USA) $.00. 84 • Sand Point 2015 Chardonnay, Lodi 13.8% (USA) $12.00. 90 • Sand Point 2017 Sauvignon Blanc, Lodi 12.5% (USA) $12.00. 85 • Sand Point 2016 Chardonnay, Lodi 13.5% (USA) $12.00. 86 • Sand Point 2016 Pinot Noir, California 13.7% (USA) $12.00. 87 • Sand Point 2016 Merlot, Clarksburg 14% (USA) $10.99. 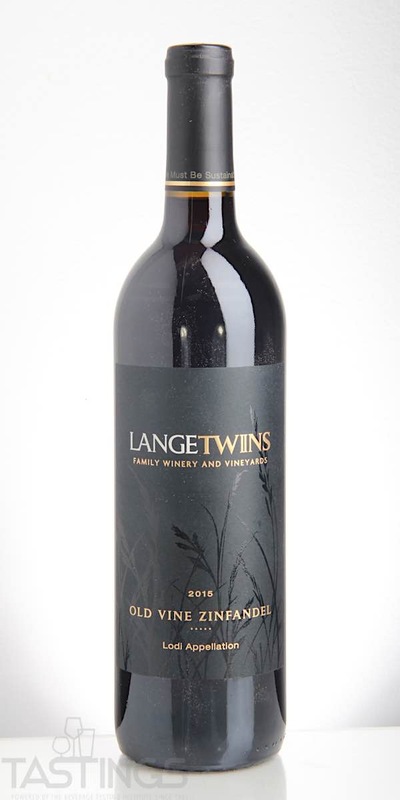 LangeTwins Family Winery and Vineyards 2015 Estate Grown Old Vine, Zinfandel, Lodi rating was calculated by tastings.com to be 92 points out of 100 on 5/23/2018. Please note that MSRP may have changed since the date of our review.